Dumpster Bumpers protect the dumpster as well as greatly reduces noise as the dumpster is being emptied. We can supply custom Heavy-Duty Dock Bumpers for a variety of applications. 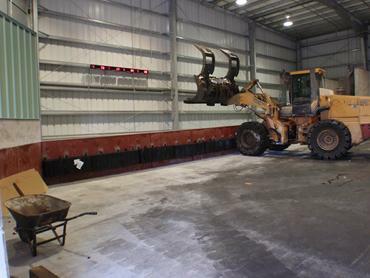 The dock bumpers shown above were installed at a new transfer station in Florida to act as a tire stop and to cushion impact against the concrete barrier. 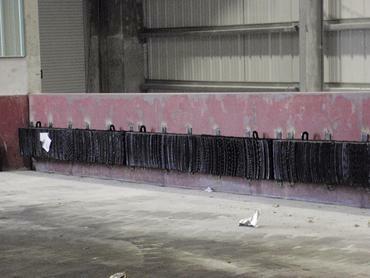 Waste-to-Energy plants have used these bumpers to protect their pit walls from damage that can occur from loading grapples. Please call 800-309-6939 to discuss your specific needs.